Welcome to The Original Roma Restaurant! The Original Roma Restaurant has been Greeley’s Pizza and Beer joint since 1988. 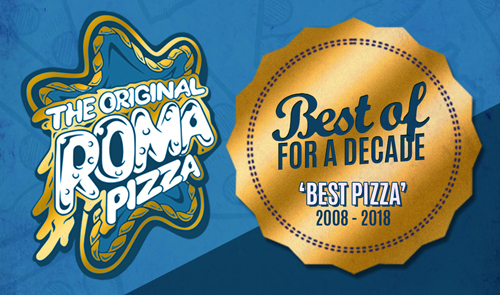 A cultural and culinary focal point, Roma is well known as having a fun environment and receives annual awards like: Greeley's best pizza, take-out, lunch, vegetarian food, and drink specials. Roma is HOME OF THE 34 oz BAZOOKA. The menu includes amazing pizzas with a myriad of premium toppings, stand out appetizers, fresh pastas, huge sandwiches, refreshing salads, and yummy desserts. Roma has 15 outstanding beers on tap, and an amazing mixed drink menu that is sure to please. 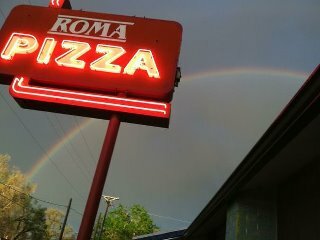 We welcome you to Roma-whether it is your first time, or you have been a patron for nearly 30 years in Greeley. The Original Roma would love to have you as a guest today!